Claiming back some of the usefulness of material that would otherwise have simply been discarded has an obvious appeal and as a way of dealing with two of the biggest environmental challenges of our age, the idea of generating energy from our waste is hard to beat. While the expression “energy from waste” is most frequently associated with incineration, important though this is in many parts of the world, it is certainly not the only way to turn rubbish into power. Although they are not generally very popular with the British public, in a number of other countries incinerators are the waste disposal route of choice, with many of them linked to a district heating scheme which warms local factories, businesses and sometimes homes too. The heat produced can also be harnessed successfully to drive steam generators to provide electricity either for export to the grid, or used via embedded power distribution in the vicinity of the plant itself. This adds up to the ability to deal with between 20,000 to 600,000 tonnes of waste each year, depending on the size of the incinerator, and generate 1 to 40 MW of power. Incineration is a fairly old approach to obtaining waste from energy, and many of the negative associations that surround it result from the problems of earlier times. Today’s generation of “clean burn” incinerators are, for example, equipped with an extensive array of very effective technologies designed to ensure that harmful chemicals don’t escape in the smoke – but it was not always so in the past, and that is the image which lingers. No waste management system is entirely perfect and not even the most dedicated incinerator fan would pretend otherwise, but incineration does offer a fairly simple way of disposing of significant amounts of waste and obtaining energy into the bargain. Recently, interest has been growing in other technologies to derive energy from waste including a whole range of “thermal recycling” approaches. Like incineration, they allow for the production of heat, but instead of directly burning the waste, turn it into a high-yield fuel, which is then itself burnt. The key advantage of this way of doing things lies in the fact that refining the material into a fuel helps reduce the impurities before they have any chance to escape in the exhaust and additionally, fuels in gas or liquid form are considerably more convenient to handle than tonnes of old refuse! 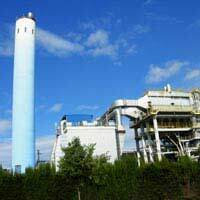 Gasification – a means of producing hydrogen-rich “syngas” from biomass and other high carbon content wastes. Pyrolysis – this produces a bio-oil fuel from organic material. Depolymerisation – a promising technology which produces a form of synthetic crude oil from biomass and plastic wastes, which can then be refined further as required. A fourth approach – plasma arc gasification (PGP) – is an exciting method that first gasifies the waste to produce syngas and then treats the residue with a plasma arc to generate still more fuel and vitrify the remainder, turning it into a solid aggregate material, suitable for use in construction. Swindon is home to the world’s first operational Gasplasma plant, owned by APP, and more are being planned in a range of other countries around the world. Although all of the previous energy from waste technologies involve thermal processes of one sort or another, there are ways that don’t – and one of the most widespread of these, relies on bacteria to get the job done. We all know about what happens to kitchen and garden waste – it breaks down and that is, of course the basis of making compost. The composting process, however, only happens when the microbes responsible are given a good supply of oxygen to get on with things. Take away the air, and things proceed very differently; now instead of producing carbon dioxide as the main gaseous waste, an entirely new group of bacteria make a methane-rich biogas – and methane burns! The process rejoices in the name of anaerobic digestion – often referred to as simply AD – and a version of it occurs naturally in landfills, giving rise to landfill gas. However, when you control the procedure, the gas produced is more consistent and cleaner, allowing it to be burnt in small, on-site generators to produce electricity and the heat used to warm the bioreactor which houses the decomposing waste and the bacteria themselves. It is a very versatile system and has a long history of use at wastewater treatment plants and farms, turning sewage and manures into useable energy – and in some European countries especially, it has proven a successful alternative to landfill or incineration. With waste disposal and energy production standing as such vitally important factors in any attempt at sustainability, it’s hardly surprising that a growing number of people are increasingly convinced that in one form or another, energy from waste is the way to go.